Hi loves! I am back with another Dance Legend post today. Sorry I'm a bit late, but today is just one of those super lazy Saturdays ;-). These shades will make up for it I think. Dance Legend Wow Prism is now a collection of 24 gorgeous chunky holo shades, since there were 6 new shades released last Spring. Of those 6 I have 3 to show you and oh my, these might even be better than the other 4 I showed you earlier this year! I'll talk about the formula with each individual shade but I can tell you I used Duri Rejuvacote for my base, 3 coats of each color and topped it with Glisten & Glow HK Girl Top Coat. Dance Legend Beautiful Lie is a periwinkle purple shade. This one had a better formula compared to the other 2, it wasn't thin or runny and I could have settles with 2 coats, but did 3 for consistency. 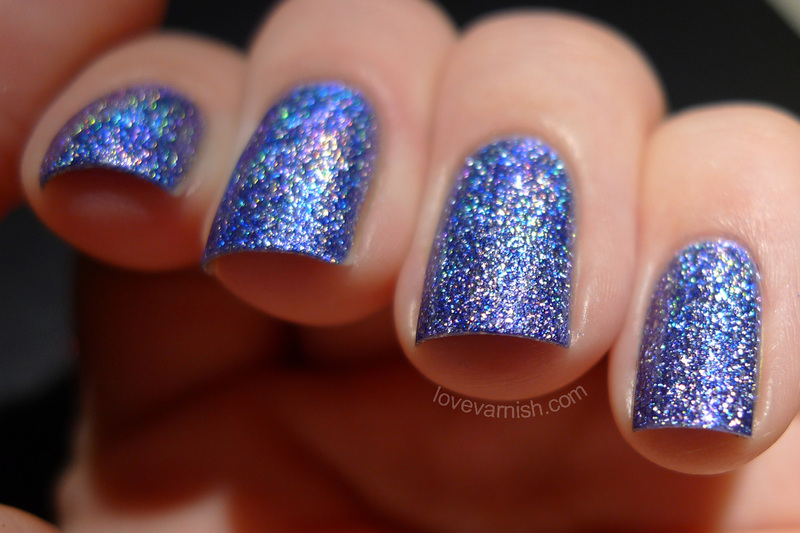 The chunky holo shines brightest in this one and shows an almost linear flare. Gorgeous! Dance Legend Holy Diver is named appropriately, this mermaid like greenish turquoise has a mesmerizing depth to it! 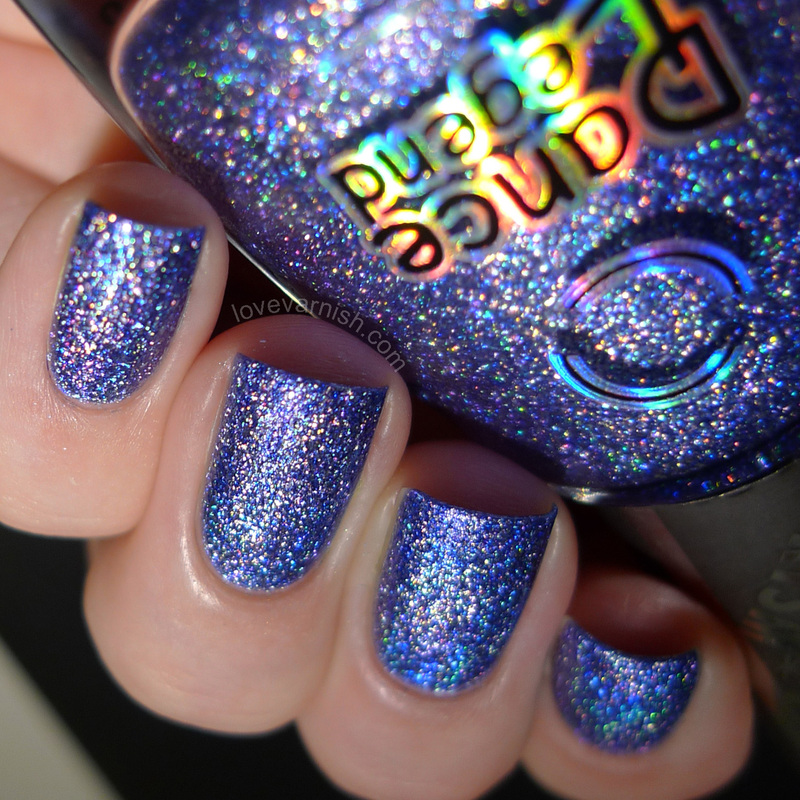 The chunky holo sparkles nicely, the formula is thin though and I think you might wanna double up on basecoat - this could be a stainer! Really make sure your brush doesn't have to much polish on it oir you'll flood your cuticles. Dance Legend Inhale is a bright and clean green shade, this makes me think of plants and leafs! The holographic effect isn't the strongest with this one but the sparkling finish is still gorgeous. Again, thin formula and potential flooding of cuticles if you aren't careful with it. Worth it though! That's it, my 3 picks from the Dance Legend Wow Prism Spring collection! Which shade would you choose? Tell me in the comments! Dance Legend is sold through their own webshop. Dance Legend Wow Prism shades come in 15 ml. bottles and retail for $13. Shipping worldwide is $10 and free if you order over 10 bottles. There are also a few retailers listed on their website if you prefer shopping with a more local webshop. 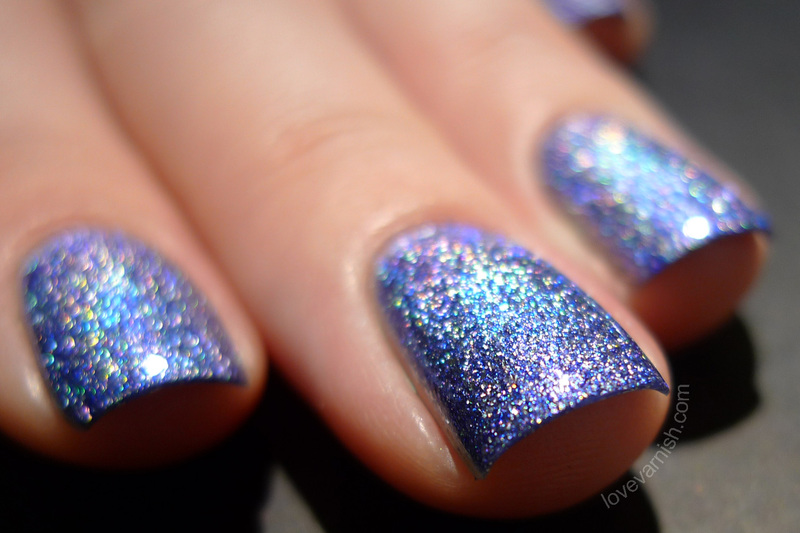 Hypnotic Polish is one of them and is based in The Netherlands. You can also find Dance Legend on Facebook. You've almost killed me with these swatches! I'm longing for almost 4 of these, Holy Diver and Beautiful Lie among them! All three of these are simply stunning! I grabbed Beautiful Lie from llarowe and put a 5 star review of it there. It is just gorgeous, one of my faves in my collection, which is pretty big. Aren't they just gorgeous? :) I picked these three and Through The Glass from the Spring collection (it is close to Holy Diver but still not a dupe). The yellow one (Golden Cobra) is quite sheer and I skipped the pink one since bright pinks are not my thing. These are gorgeous! I have Inhale, but I NEED the other two! Had to Google for that :-D! They sure are gorgeous and really worth it to me - the depth is amazing! It IS amazing huh? I'm quite sure this won't be the last time it graced my nails ;-). They are! I reeeally love the Wow Prism polishes and these are a beautiful addition to the collection :-). They do, they really really do ♥. Glad you like 'em :-). Aww, thanks Bregje! I loved your swatches as well! I'm afraid (for my wallet) that I desperately need them in my life. Good lord these are beautiful. I'm adding these to my list for when I finally make my order! You should ^^ they are even better in real life ;-). WOWEE!!!! I must acquire these!! They are fierce aren't they?! Can I just say you did a FLAWLESS job of capturing these! I just got them this week and WOW... they are the most stunning polishes I've seen in a while. Your photos capture them beautifully! These are stunning!!! I need more Wow Prisims I actually want the full collection! !